Q: Why so much emphasis on resumes? A: The reason people put so much time and effort into putting together a resume is that it's the one aspect of their job search that they have control over. Instead of picking up a phone to call propective employer to request an in-person meeting, people use their resumes to do the talking for them without having to deal with the risk of rejection head on. The truth is, submitting a resume alone usually isn't enough to get someone hired. The resume is meant to get an interview and once getting an interview your personality makes up for 40 percent of the decision. Q: What makes a great resume? A: Simplicity is key. A resume should only be one to two pages max. The average resume gets about 10 seconds of reading time so make sure it's written clearly and concisely enough to be understood in an instant. Don't make it too fancy, stick to a traditional layout. Font should be very basic, between 10-12 point size, and black on white paper. Your name and heading can be a different size but try to be consistent with the rest of the document. Try not to overdue bold, italics, and underlining. Use a chronlogical order that starts with the most recently held position at the top then work backwards. List your accomplishments in each category in a bulleted list and begin with verbs. Don't include personal information that isn't relevant to the job description, if it's that important to mention you can bring it up later on in an interview. Employers don't care too much about it when reading a resume. Leave photos out of resumes. They look unprofessional and are unnecessary. Q: Along with a resume, what really makes a hiring manager want to give you the job? A: You've probably seen the word everywhere by now: Networking. While online job boards have made it that much easier for you to find open positions at your computer, there's a trade off with that advantage. In today's job market, the effort that would have been used toward contacting an employer about a job, you need to contact everyone else you know. That's how to increase your chances of getting an interview. about 60 percent of people who find jobs have found them through networking. Trying to reach an employer by sending a resume through their website is almost like throwing it away. Without establishing a personal connection with them, you're as good as forgotten. Think of people you used to work with, friends, family members, neighbors, old classmates--anyone you know. Contact them as well as companies. You never know who will be hiring and you don't want to miss out on an opportunity because you overlooked it. Be thorough in your job search, look high and low; far and wide. Q: What is the biggest issue in getting a resume noticed? A: People tend to put way too much thought into who is reading it. Often times the reader has little to do with the job, like a recruiter or someone in Human Resources. They look for the qualities in your resume that prove that you're the right person for the job. Q: How much help does social networking media offer? Q: What's the number one thing for jobseekers to remember? and getting the same result. Resumes are becoming more and more scrutinized as the competition for jobs gets fiercer. With the growing demand for jobs, recruiters have to find ways to narrow down the candidates by changing the standards and requirements of resumes. They're getting tougher on their expectations and the ones that can keep up with meeting their demands stand better chances of getting through the door. 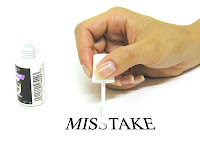 There are mistakes that they can pick out that many don't know they are making, but these are easily fixable. If what you do best is completely irrelevant to the job, there's no use in mentioning it. You'll only give the reader something to ignore. Simply reciting all your accomplishments without relating them to the job description doesn't give the potential employer anything they can work with. They want to see what you can bring to the table that they can use in their company. Solution: Only include information and examples that the company is looking for, just carefully go over the job description. If there isn't one, call the company and ask to speak with a secretary. Most will be more than willing to help you and share some tips on what the employer wants from an applicant. Generic resumes get you nowhere. Each and every company, even those within the same industry, are looking for particular things and your resume should address those requirements. But many then wonder, "How am I supposed to write a resume that matches every employer's needs?" Well you don't have to. Solution: Modify your resume whenever you apply for a position to make it fit the job description. You can create more than one resume if you want to go into more than one field and just change around certin qualifications or accomplishments that will interest the employer most. You always want your resume to be as short and brief as possible. The point is for the reader to get the main points fast and easy. Another way to approach this to create a master resume with all the information that you can use to cut and paste into the final resume. Templates are always useful in formatting the information in an organized fashion. By showing the potential employer that you're exactly what they're looking for, your phone will be ringing sooner than you think. Keep paragraphs in essays and out of resumes. Being that you only have so much real estate to work with you want to make every word count without bombarding the page with text. With all the reading recruiters have to do, they're not going to spend any more time on one than another. Solution: Bullet points are your best friend in resumes. They keep things short and sweet and help you avoid putting in too much fluff. You want to use words that will make an impact, so take time with your resume and make as many drafts as you need. Pointing out a strenght is one thing but showing how you used it is another. Your resume reflects the judgment calls you have made on yourself. This can also pose a problem to hiring managers as it makes them wonder how much is acutally true or fiction. Solution: If you really are a good candidate for the job prove it with facts. Someone could easily say that they "generated revenue with creative marketing techniques," but that could mean anything from $1 or $1,000 dollars. Specifics make a huge difference in what the potential employer is able to learn about you. The more detailed you are, the better idea they have. Of course, the more contacts you make in your job search, the quicker you will find an end to your means. However, simply just submitting a resume doesn't count as making contact. There needs to be more effort behind that. As few as one in every 1,700 resumes sent to companies actually result in a job offer, according to Richard Bolle, authoer or "The Job-Hunter's Survival Guide." In the end, most job seekers become discouraged as resume after resume fails to produce a positive result. Solution: Evaluate the success of your job search in terms of how many people you actually meet and talk to rather than how many resumes you've sent out. Making contant in person is harder but have substantially higher success rates. You'll keep from feeling hopeless and have a better idea of how much you've actually accomplished.